December 23rd, 1913 is a date which will live in infamy. That was the day when the Federal Reserve Act was pushed through Congress. Many members of Congress were absent that day, and the general public was distracted with holiday preparations. Now we have reached the 100th anniversary of the Federal Reserve, and most Americans still don't know what it actually is or how it functions. But understanding the Federal Reserve is absolutely critical, because the Fed is at the very heart of our economic problems. Since the Federal Reserve was created, there have been 18 recessions or depressions, the value of the U.S. dollar has declined by 98 percent, and the U.S. national debt has gotten more than 5000 times larger. This insidious debt-based financial system has literally made debt slaves out of all of us, and it is systematically destroying the bright future that our children and our grandchildren were supposed to have. If nothing is done, we are inevitably heading for a massive amount of economic pain as a nation. So please share this article with as many people as you can. #1 We like to think that we have a government "of the people, by the people, for the people", but the truth is that an unelected, unaccountable group of central planners has far more power over our economy than anyone else in our society does. #2 The Federal Reserve is actually "independent" of the government. In fact, the Federal Reserve has argued vehemently in federal court that it is "not an agency" of the federal government and therefore not subject to the Freedom of Information Act. #3 The Federal Reserve openly admits that the 12 regional Federal Reserve banks are organized "much like private corporations". #4 The regional Federal Reserve banks issue shares of stock to the "member banks" that own them. #7 According to Article I, Section 8 of the U.S. Constitution, the U.S. Congress is the one that is supposed to have the authority to "coin Money, regulate the Value thereof, and of foreign Coin, and fix the Standard of Weights and Measures". So why is the Federal Reserve doing it? #8 If you look at a "U.S. dollar", it actually says "Federal Reserve note" at the top. In the financial world, a "note" is an instrument of debt. #9 In 1963, President John F. Kennedy issued Executive Order 11110 which authorized the U.S. Treasury to issue "United States notes" which were created by the U.S. government directly and not by the Federal Reserve. He was assassinated shortly thereafter. #12 The Federal Reserve has become so powerful that it is now known as "the fourth branch of government". #29 The "easy money" policies of former Fed Chairman Alan Greenspan set the stage for the great financial crisis of 2008. #30 Without the Federal Reserve, the "subprime mortgage meltdown" would probably never have happened. #31 If you can believe it, there have been 10 different economic recessions since 1950. The Federal Reserve created the "dotcom bubble", the Federal Reserve created the "housing bubble" and now it has created the largest bond bubble in the history of the planet. #33 The Federal Reserve also paid those big banks $659.4 million in "fees" to help "administer" those secret loans. #34 During the last financial crisis, big European banks were allowed to borrow an "unlimited" amount of money from the Federal Reserve at ultra-low interest rates. #35 The "easy money" policies of Federal Reserve Chairman Ben Bernanke have created the largest financial bubble this nation has ever seen, and this has set the stage for the great financial crisis that we are rapidly approaching. #41 According to a prominent Federal Reserve insider, quantitative easing has been one giant "subsidy" for Wall Street banks. #42 As one CNBC article recently stated, we are seeing absolutely rampant inflation in "stocks and bonds and art and Ferraris". #43 Donald Trump once made the following statement about quantitative easing: "People like me will benefit from this." 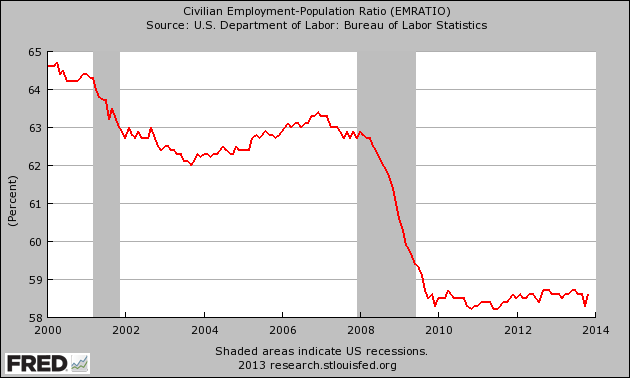 #46 The mainstream media has sold quantitative easing to the American public as an "economic stimulus program", but the truth is that the percentage of Americans that have a job has actually gone down since quantitative easing first began. #47 The Federal Reserve is supposed to be able to guide the nation toward "full employment", but the reality of the matter is that an all-time record 102 million working age Americans do not have a job right now. That number has risen by about 27 million since the year 2000. #48 For years, the projections of economic growth by the Federal Reserve have consistently overstated the strength of the U.S. economy. But every single time, the mainstream media continues to report that these numbers are "reliable" even though all they actually represent is wishful thinking. #54 We were told that the purpose of quantitative easing is to help "stimulate the economy", but today the Federal Reserve is actually paying the big banks not to lend out 1.8 trillion dollars in "excess reserves" that they have parked at the Fed. #55 The Federal Reserve has allowed an absolutely gigantic derivatives bubble to inflate which could destroy our financial system at any moment. Right now, four of the "too big to fail" banks each have total exposure to derivatives that is well in excess of 40 trillion dollars. 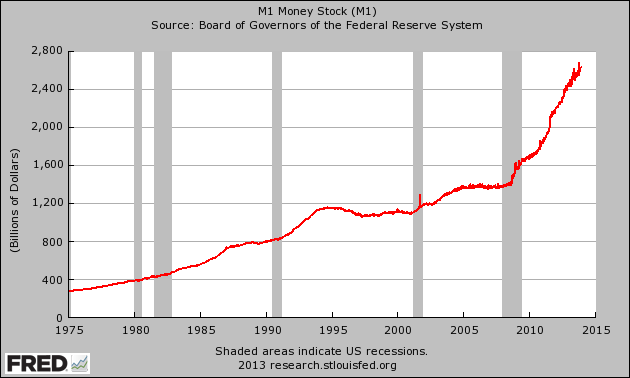 #62 The Federal Reserve system has been described as "the biggest Ponzi scheme in the history of the world". #63 The following comes directly from the Fed's official mission statement: "To provide the nation with a safer, more flexible, and more stable monetary and financial system." Without a doubt, the Federal Reserve has failed in those tasks dramatically. #64 The Fed decides what the target rate of inflation should be, what the target rate of unemployment should be and what the size of the money supply is going to be. This is quite similar to the "central planning" that goes on in communist nations, but very few people in our government seem upset by this. 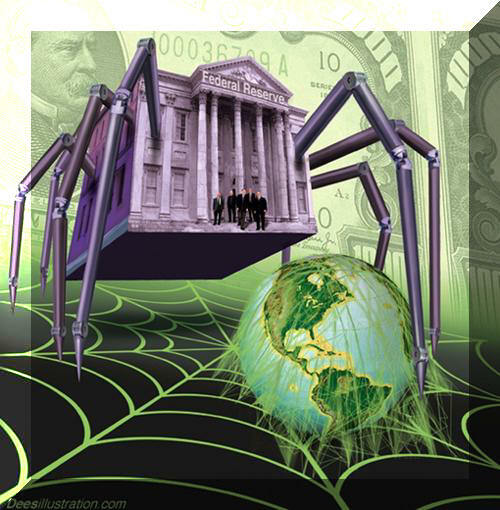 #66 The Federal Reserve has taken some other very frightening steps in recent years. For example, back in 2011 the Federal Reserve announced plans to identify "key bloggers" and to monitor "billions of conversations" about the Fed on Facebook, Twitter, forums and blogs. Someone at the Fed will almost certainly end up reading this article. "Compound interest is the eighth wonder of the world. He who understands it, earns it … he who doesn’t … pays it." #72 Of course the U.S. government could actually create money and spend it directly into the economy without the Federal Reserve being involved at all. But then we wouldn't be 17 trillion dollars in debt and that wouldn't serve the interests of the bankers at all.